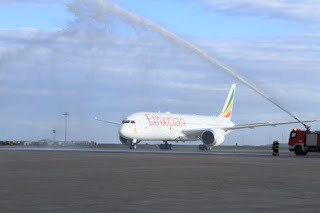 Ethiopian Airlines celebrated the delivery of its first Boeing 787-9, which it is leasing the Dreamliner through an agreement with AerCap. 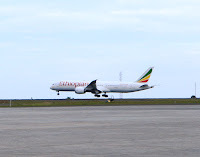 Ethiopian's newest 787 touched down in Addis Ababa following an epic non-stop delivery flight from Boeing's Everett facility in Washington state. It was a total distance of 8,354 miles or 13,444 kilometres. Ethiopian is now the first airline in Africa to operate the 787-9 further cementing the carriers tradition of 'firsts'. 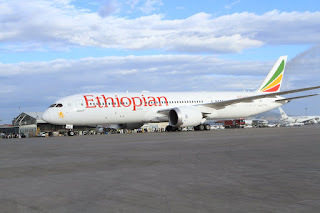 They were the first African carrier to fly the 787-8 in 2012, and they similarly introduced the 777-200LR, 777-300ER and 777 Freighter top the continent. More pictures and details follow. "We are proud to celebrate yet another first with the introduction of the cutting-edge 787-9 into our young and fast-growing fleet," said Mr Tewolde GebreMariam, Group CEO of Ethiopian Airlines. "Today, the 787 is the core of our fleet with 20 aircraft in service. 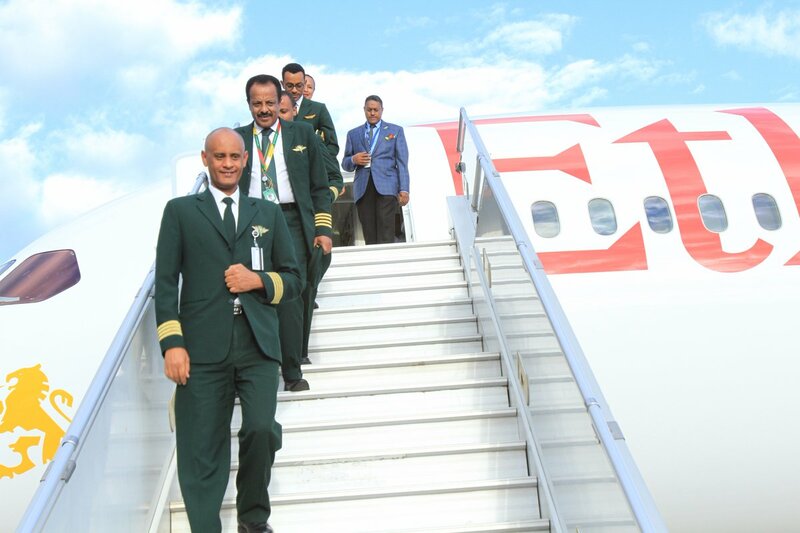 Our investment in the latest technology aeroplanes is part of our Vision 2025 strategy and our commitment to our esteemed customers to offer complete onboard comfort. We will continue to invest in the most advanced aircraft to give our customers the best possible travel experience." 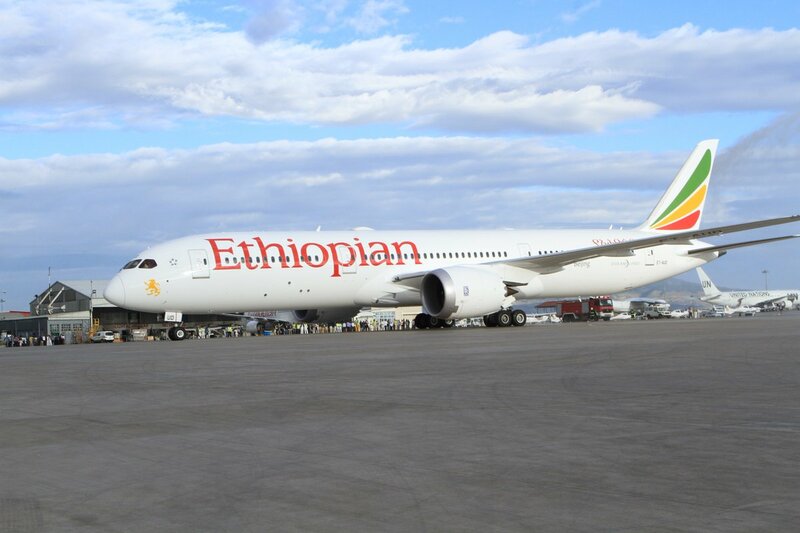 The 787 Dreamliner is considered by many as one of the most innovative and efficient aeroplane family flying today. Although, the Airbus A350 family is routinely more efficient in a number of key areas. Since 2011, more than 600 Dreamliners have entered commercial services, flying almost 200 million people on more than 560 unique routes around the world, saving an estimated 19 billion pounds of fuel. 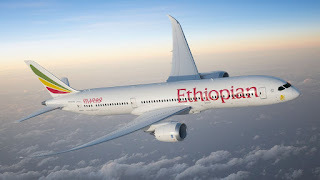 "We are very happy to continue our longstanding partnership with Boeing to deliver medical equipment and supplies to public hospitals in Ethiopia, which benefit the society-at-large," said GebreMariam. "This is our 32nd humanitarian flight over the course of the last few years. 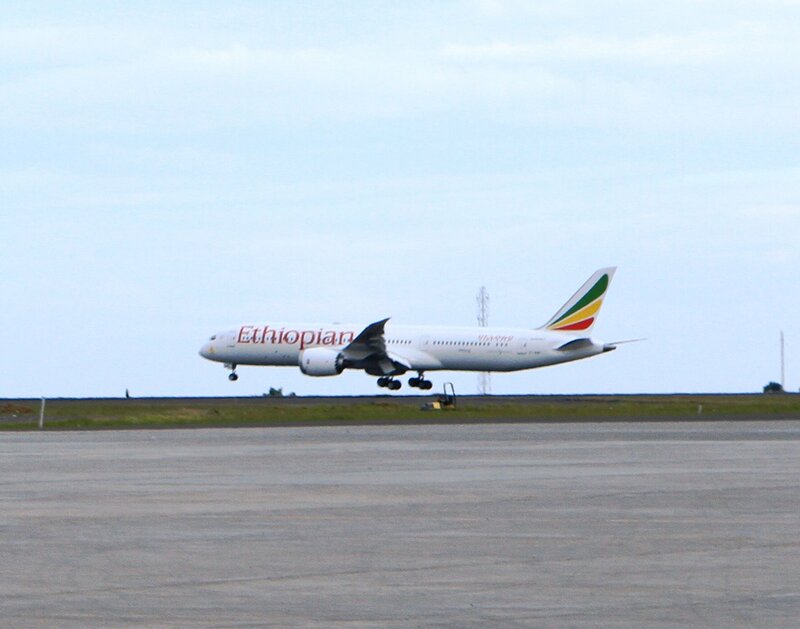 No airline has provided such sustained support to the delivery of humanitarian supplies to the African continent. It is a testament to our commitment to serve the community as a responsible corporate organization." 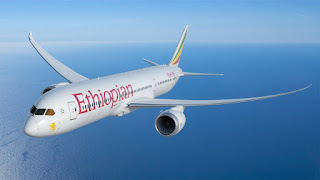 Ethiopian Airlines operates a Boeing fleet of 737, 767, 777, and 787 aeroplanes in passenger service and six 777 and two 757-200 aeroplanes in cargo operations.